35,000 lives. 90 minutes. No extra time. 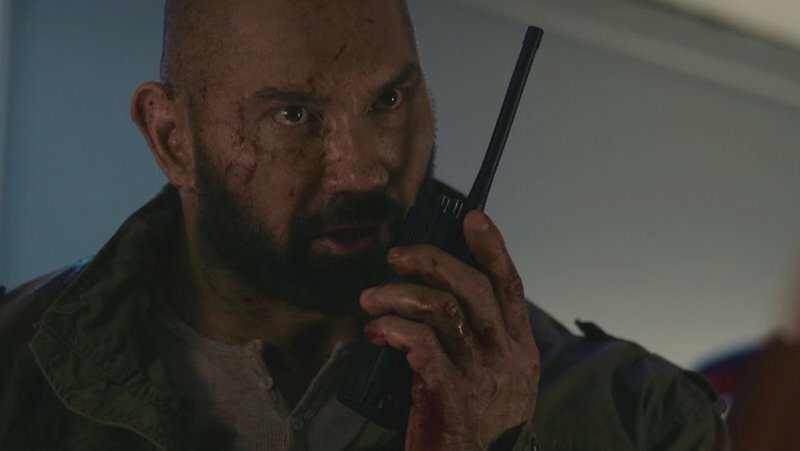 Saban Films has released the official trailer for their upcoming action movie Final Score, starring Dave Bautista (Avengers: Infinity War, Spectre). Check out the Final Score trailer in the player below! Directed by Scott Mann (The Tournament, Heist, Down Amongst the Dead Men) and written by Jonathan Frank (The Tournament, Chaingangs, Mara), and brothers David T. Lynch and Keith Lynch (Trial, Old Habits, Dual), Final Score centers on an ex-soldier with lethal fighting skills (Dave Bautista) who wages a one-man war against the deadly terrorists who abducted his niece at a soccer match and to prevent mass destruction. Final Score also stars Golden Globe nominee Pierce Brosnan (The Matador, The Son, GoldenEye), Ray Stevenson (Thor, Rellik, Black Sails), Lucy Gaskell (Being Human, The A Word, Misfits), Julian Cheung (The Grandmaster, The Leakers), Lara Peake (Born to Kill, Spaceship), Alexandra Dinu (Sposami, L’isola), and Ralph Brown (Alien 3, TURN: Washington’s Spies). The film will arrive in theaters and on VOD and Digital HD on September 14, 2018. Bautista’s latest projects on the big screen include his reprisal as Drax in Avengers: Infinity War and starring alongside Jodie Foster, Sterling K. Brown, Jeff Goldblum, Sofia Boutella, Zachary Quinto and Charlie Day in Drew Pearce’s crime thriller Hotel Artemis. His other credits include Blade Runner 2049, Guardians of the Galaxy, Guardians of the Galaxy Vol. 2, Heist, and Spectre.